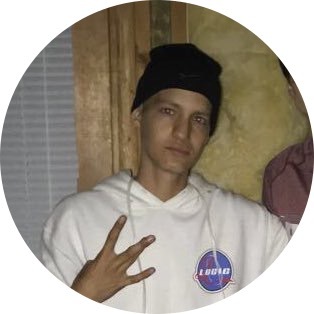 Dalton Ray Hanna, 17, of Kearney, passed away peacefully on March 25, 2019, at Kansas City Hospice House with family at his side. He fought a four and a half year battle with DSRCT Cancer. Visitation will begin at 10:00 am, followed by a service celebrating Dalton's life at 12 noon, on Friday, March 29, at Pleasant Valley Baptist Church 1600 North State Route 291, Liberty. Burial will follow in Maple Hill Cemetery, Kansas City, KS. In lieu of flowers, memorials are suggested to a fund established at his church: First Christian Church of Kearney, 2151 South Jefferson Street, Kearney, MO 64060 (reference donations DRAY). Contributions may be mailed, left at the funeral or you may give via text by dialing 715-803-4772 with 1755895 in the message line. Dalton was born April 22, 2001 in Merriam, KS, the son of Steven Ray Hanna Jr. and Melissa Lynn (Penegar) Hanna. Along with his mom and dad, Dalton leaves his younger brother, Davin; and grandparents, Teresa and Steve Hanna Sr. and Debbie Seymour; as well as many friends. Visitation will begin at 10:00 am, followed by a service celebrating Dalton’s life at 12 noon, on Friday, March 29, at Pleasant Valley Baptist Church 1600 North State Route 291, Liberty. Burial will follow in Maple Hill Cemetery, Kansas City, KS.